Attracting and retaining talent is essential to maintain a successful organization. Profiles International provides talent management solutions for acquiring, cultivating, and retaining skilled employees. 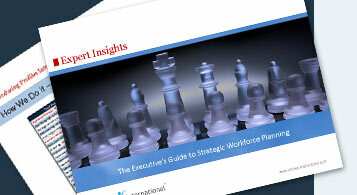 Developing an effective talent management strategy is the first step to ensure that your organization is competitive. A talent management strategy prepares organizations for challenges like cultivating skill sets of your current workforce and retaining highly talented employees from competitors. The PROFILES XT® measures individual talent potential and predicts job performance. Using the PROFILES XT® as part of your talent management strategy will help discover employee skill sets, before and during employment. Placing the right people in the right positions cultivates talent within your organization. The PROFILES PERFORMANCE INDICATOR™ measures behavioural tendencies in five critical job-related competencies: productivity, quality of work, initiative, teamwork, and problem solving. Used to evaluate employee talent, PROFILES PERFORMANCE INDICATOR™ increases employee productivity and motivation, and provides recommendations for improving employee performance.